This site contains articles primarily directed towards members of the Church of Jesus Christ of Latter-Day Saints (often referred to as Mormons) but everyone who is interested in broadening their outlook on what the Bible, Book of Mormon and other scriptures teach is welcome here. For a better understanding of the purpose for this site please read my Introduction. New articles are added regularly so please check back frequently. Foundation of Faith – A listing of articles meant to help give a better understanding of what the LDS Church teaches and the reasons for those beliefs compared to what others teach. 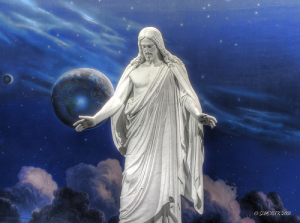 The Gospel of Jesus Christ – A listing of articles meant to give a deeper insight into the doctrines taught by the LDS Church. Constitutional Studies – Articles designed to help our understanding of the history and purpose of the U.S. Constitution. Topic Guide – Links to articles on this website grouped according to topics. This site is designed to provide a deeper understanding of the scriptures and inspire more thought about the gospel of Jesus Christ.